After Auroracoin began its distribution of AUR at midnight on March 25th via the Airdrop, the digital currency has seen nearly 50% fall in value. Auroracoin is Iceland’s first attempt at a national virtual currency. 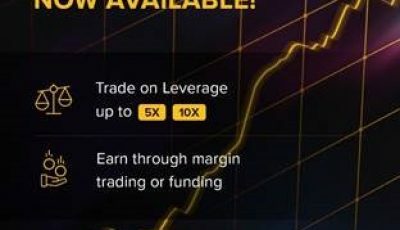 At the first day of the Airdrop, Auroracoin price fell almost 50%, however, it avoided the quick dive that some people were afraid of. During the press time, according to the Auroracoin website, 281,000 coins had been claimed. This is 2.68% of the 10.5 million Auroracoins. Nearly 16 hours after the Airdrop, according to Coinmarketcap, the price of the coins was pretty much stable. In fact it is the fourth-largest digital currency by its market cap. 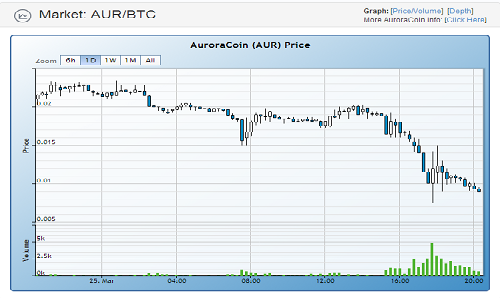 By the end of the day, however, Auroracoin’s market cap decreased nearly 50%. Auroracoin is currently worth around $6.56. This is significantly less than the day’s open at $11.93. 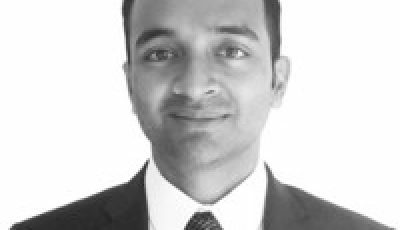 Why Did Auroracoin Value Decrease? According to data charts from Cryptocoincharts suggest that many of the investors sought to exchange Auroracoins for cash. In addition to this, there were some distribution issues. By midnight, 443 users were waiting for the Auroracoin website to claim coins or to observe what was going on. The website was experiencing technical difficulties due to heavy traffic. There were also issues with wallet downloads, but above all, it seems that the most pressing issue was the “request timeout” errors. 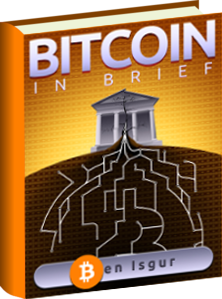 What’s In Store for Nation-Based Digital Currencies? Many people will be looking in to see what happen as a result of Aurocoin’s Airdrop. It’ll be an indicator for other nations to understand what to expect if they too are wishing to do something similar. With this knowledge, the countries can plan and fix things accordingly. In addition, it will serve as a means to spread more awareness of digital currencies as a whole.